and we let you personalize them! 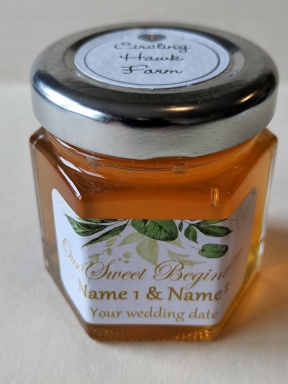 We'll customize the label for you for free! - 12 custom designs to personalize. - send us your own logo and we'll print. 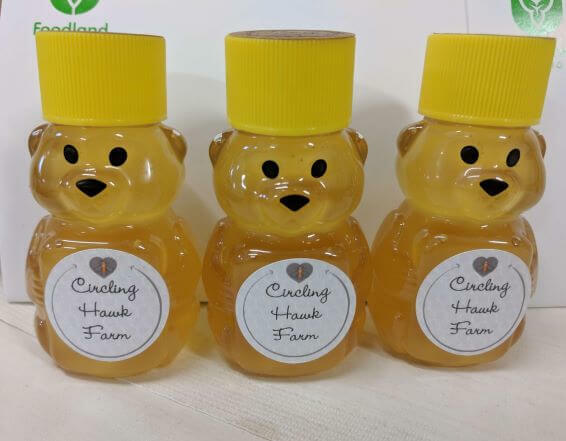 - Delicious 100% natural farm fresh local honey makes an awesome gift! - Pickup or shipping from Richmond Hill. 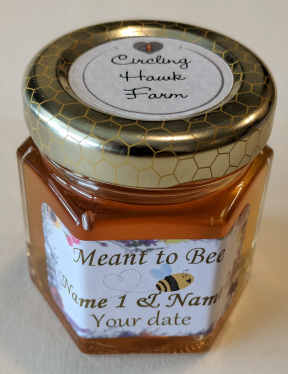 Design No 3 on 65g favor jar with honeycomb cap. Design No 13 on 65g favor jar with honeycomb cap. Design No 6 on a 65g favor jar with silver cap. Design No 9 on a 160g favor jar. 2 oz/56g baby bears with circle heart stickers. 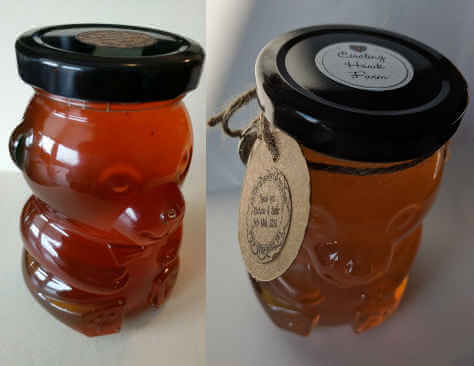 Comparison of the 65g, 115g and 56g favour jars with 4" dipper"
Small jars of local honey make a really nice wedding favours. We serve Toronto, the GTA & anywhere in Ontario. We are an operating farm with lots, and lots of honeybees! 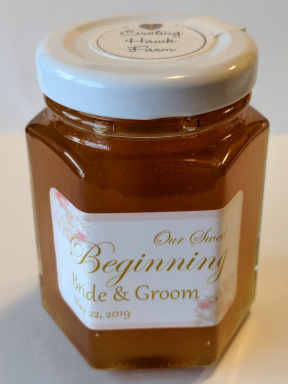 Jar Type Jars will be filled with our delicious honey and fitted with a personalized label. Labels are on the next page. © 2019 Circling Hawk Farm.